Pit Stop USA is The Online Street Performance Superstore! 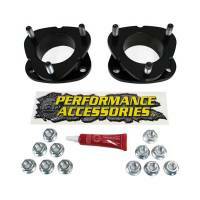 We feature Performance Accessories products at low everyday prices. 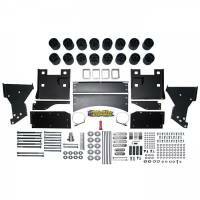 Check out the Recently Listed Body Lift Kits and Component. Pit Stop USA is The Online Motorsports Superstore! 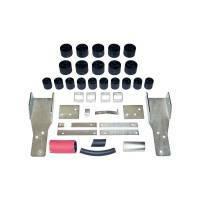 We feature Bumper Installation Kits at low everyday prices. Check out the Recently Listed Gap Gaurds. 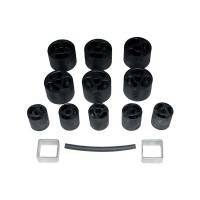 Check out the Recently Listed Shifter Components. Pit Stop USA is The Online Street Performance Superstore! For the past 25 years Performance Accessories has continued set the industry standard for truck and SUV body lifts. We have the most comprehensive line of body lift kits available on the market today for two and four wheel drive vehicles and continue to dominate the market share with over 90% of all body lifts sold being Performance Accessories. Body lifts came into the market approximately 30 years ago to fill a much needed gap that suspension lifts could not provide. 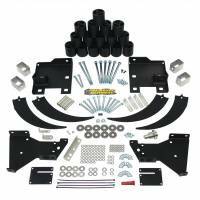 Performance Accessories body lift kits are a very affordable option when considering lifting a vehicle; in some cases a body lift can be as much as three times less than a comparable suspension system. The primary reasons consumers choose to lift their vehicles is to allow for the installation of larger tires and wheels, thus increasing the off-road ability of the vehicle and the desired custom look the consumer is trying to achieve. 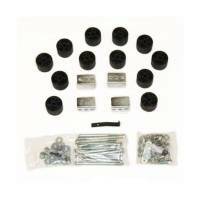 Performance Accessories body lifts on average allows the consumer to increase tire size by two to three sizes. 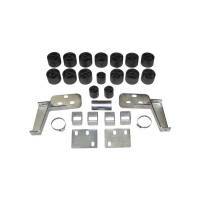 Performance Accessories body lift kits include the highest quality, laser cut, CNC machined steel components, steering extensions, shift adaptors, body lift blocks, bushings and body mounts. 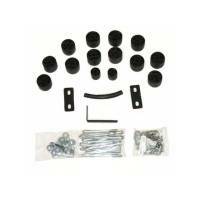 All our hardware is zinc plated and or powder coated for corrosion protection and come with complete detailed installation instructions. We also offer urethane gap guards to fill the gap between the frame and the lifted body to give the consumer that completed OEM look. When you combine the many reasons listed above along with our commitment to total customer satisfaction in our products and services we are sure you will agree that Performance Accessories will continue to lead the way in value and performance for many years to come. 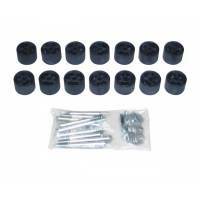 Pit Stop USA sells Performance Accessories products at low everyday prices.